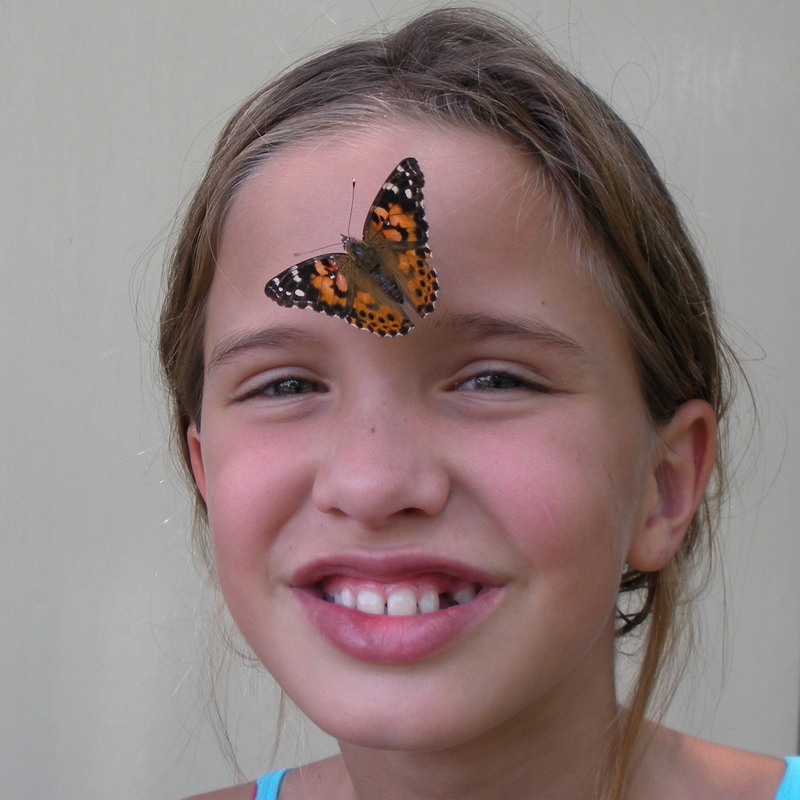 ﻿ Painted Lady Butterfly Release - A Butterfly Release Company, Inc. - Live Butterfly Available Now. Package includes individual personalized envelopes with your choice of color. For a mass release you can add a decorator box or other mass release products to your package. Ordering online is safe and easy. Just enter the date and day of your event below then scroll down to pick your envelope. If you'd prefer a mass release, Decorator Boxes are perfect and the butterflies can be released at once as a mass release. Painted lady butterflies ship in the Decorator Box ready to release. Or add one of our display cages which we'd ship in advance and the butterflies would be transferred. Your butterflies will arrive the day before your Release Date. BUTTERFLY CARE INSTRUCTIONS When your butterflies arrive it is important to change out the ice pack. To keep your butterflies safe and dormant until your release simply remove the top Styrofoam lid and take our ice pack that may be melted out and replace it with a frozen ice pack we ask you to provide. (We send a gel pack that is about 5 x 6 x 1 inch, anything similar is fine). Continue to use the shipping box as a cooler to keep a controlled temperature. If you do not have an ice pack frozen you can use a ziplock bag and fill it with ice. You can refreeze our ice pack and reuse it to replace your ice pack that evening. Check it every 12 hours to ensure it is still frozen. (Sooner if you use a ziplock bag with ice) It is normal to hear a scratching noise when the butterflies arrive but after replacing the ice pack the butterflies will become dormant again. The idea is to keep the butterflies slightly chilled and dormant until it is time for them to fly! DO NOT STORE YOUR BUTTERFLIES IN A REFRIGERATOR OR FREEZER Store the Styrofoam insulated shipping box in a room temperature environment after replacing your ice pack. 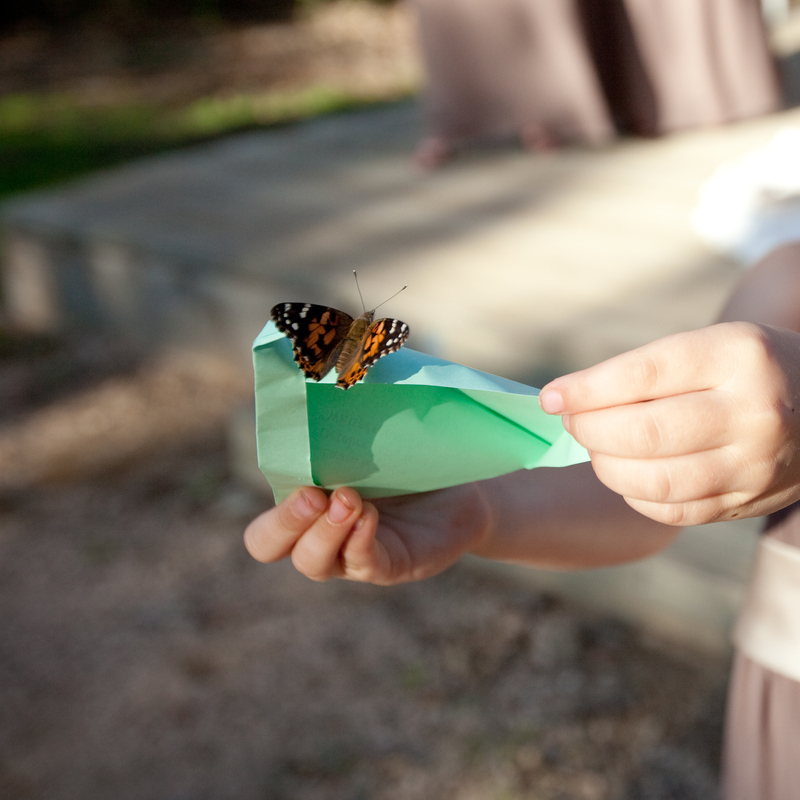 When transporting your butterflies to your event, keep them out of direct sunlight. Replace the ice pack if needed before traveling. To Warm and Wake your butterflies. The butterflies will need to warm up before they are released. Remove the product they are in from the make shift cooler, away from the ice so they have a chance to warm, wake and get ready for flight. Let them warm up for 1/2 HOUR to AN HOUR before you plan on releasing them. For a successful release the butterflies need to be released during daylight hours and outdoors in temperatures above 65 � 70 degrees. They will not fly at night, in the rain, extreme wind or cold temperatures. Releasing from your Envelopes / Decorator Box: To prevent casualties please let your guests know they receiving a live butterfly when handing out the envelopes. We recommend giving the envelopes to guests as close to the release as possible. Using Release Envelopes gently hold the envelope and unfold the flaps so when the envelope is opened the butterfly will instinctively take flight. Using a Decorator Box, give it a little shake to motivate the butterflies and untie the ribbons and open / lift the lid. Don�t expect the butterflies to come out like fireworks, they will fly and flutter out instinctively from the dark box into the light but some may need to be motivated by reaching in and coaxing them out. Any lazy butterflies that do not fly right away are perfect for a photo opportunity. 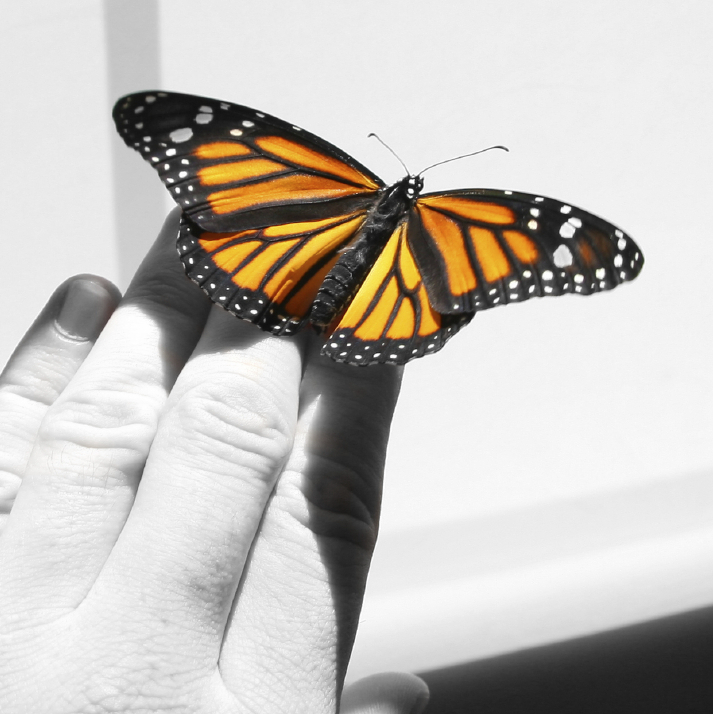 It�s okay to gently handle the butterflies. Why order from Butterfly Release Company? We are butterfly breeders that raise our own butterflies giving us the best quality control possible making our butterflies easy to guarantee. This also gives us the opportunity to offer the best prices for butterflies on the web. We have been shipping live butterflies across the United States successfully for more than 10 years. Our company is an 'Accredited Business' with an 'A plus Rating' by the Better Business Bureau and is one of the few breeders that are active members of the BBB. We take great pride in our butterflies and great pride in our company. Our 'company' is more than a job, it is a passion that we feel blessed to be able to do and provide for people. We are a family owned 'mom and pop' business (Chad & Jill) that appreciates every single customer. 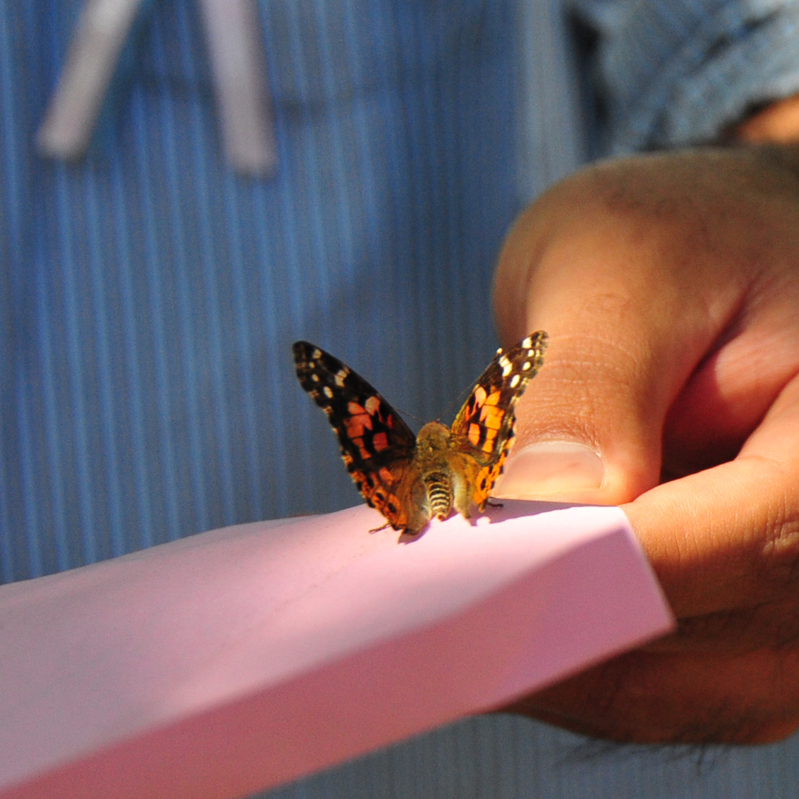 At Butterfly Release Company, customer service is not a lost art, but something we practice with every customer treating them like family and friends. Just call us and find out for yourself. 407-754-2353. Orlando's best butterflies. What kind of butterflies can I get and where can I get them? 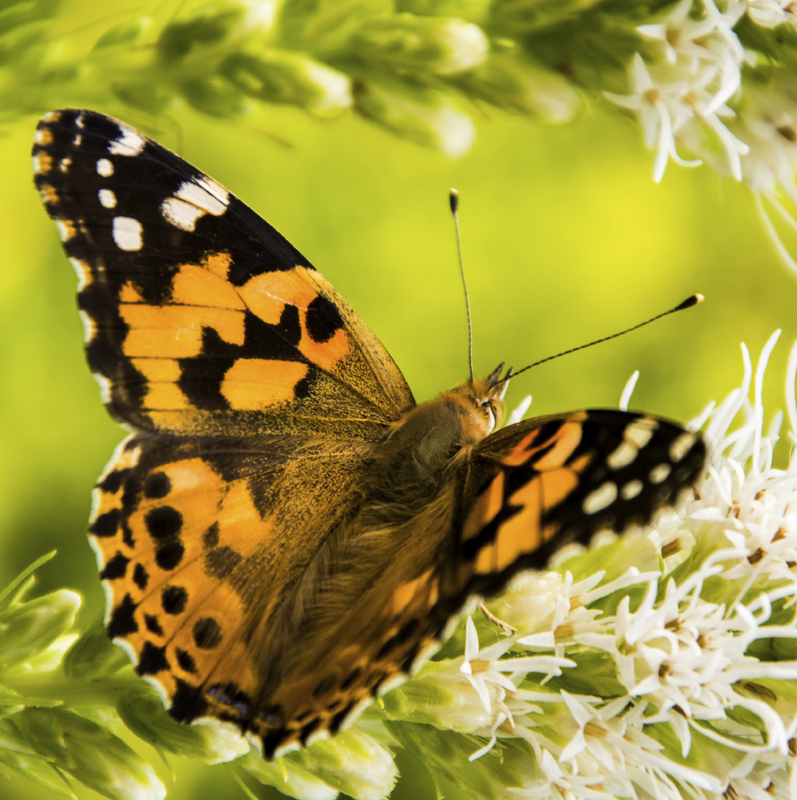 We provide painted lady and monarch butterflies through out the Continental United States although due to USDA restrictions we CANNOT ship monarchs (only painted lady butterflies) to AK,AZ,CA, Western CO, ID,MT,NV,NM,OR,UT and WA. We only ship butterflies that are indigenous to your state and that are beneficial to the environment. Painted lady or Monarch?? 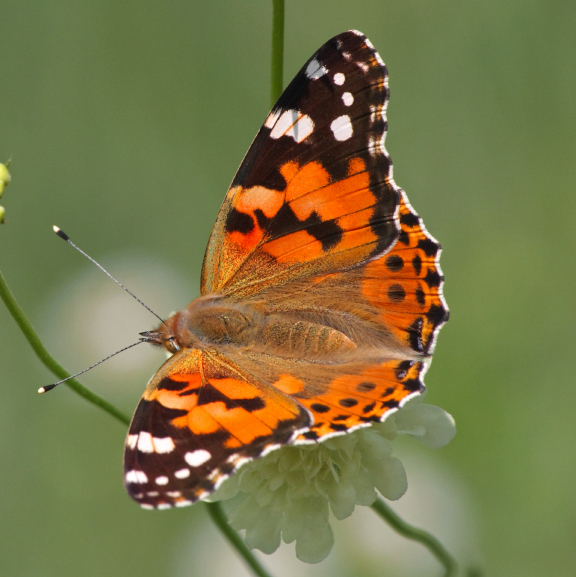 There are a many advantages to using the Painted Lady for your Butterfly Release. While the Monarch is also a beautiful butterfly, the Painted Lady will linger after releases while the Monarch will quickly flee the scene. 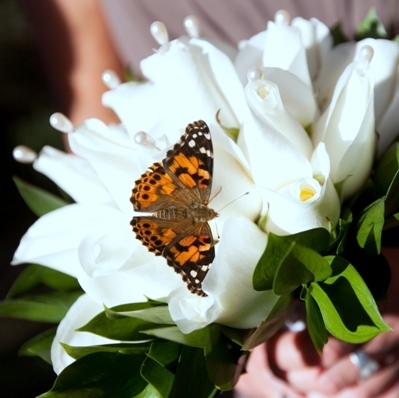 If you would like to enjoy the excitement of a butterfly that will often land contently on your shoulder or bouquet, this butterfly will perfectly accommodate your wishes. Both butterflies are very beautiful, the monarch has an average size of 4 inches compared to the average size of a painted lady being 2 inches. When do I place my order? As soon as you can. We will hold reservations on an order for a year in advance. 30 days is requested, however based on availability it could be 1 day before your event. We specialize in wedding butterflies but we can accommodate memorials for a same day shipping if possible. How do I pay for my order? We accept Visa / MasterCard and Discover. We can take checks or money orders as long as we receive them prior to shipping. You can place your order on line with our secure order form 24/7, or call 1-407-754-2353 Monday - Friday 9am - 6pm EST. Your credit card information is protected using industry standard (SSL) encryption technology and your information is kept confidential and never sold or given to a third party. We respect your privacy. What is the cost for shipping? Shipping is additional flat rate to the butterfly release package prices. We ship your Live Butterflies priority overnight with FedEx and it is an additional cost of ($45.00) outside the state of Florida and ($35.00) in the state of Florida. Saturday deliveries for Sunday releases are an additional ($15.00) to the flat rate. When will I receive my order? 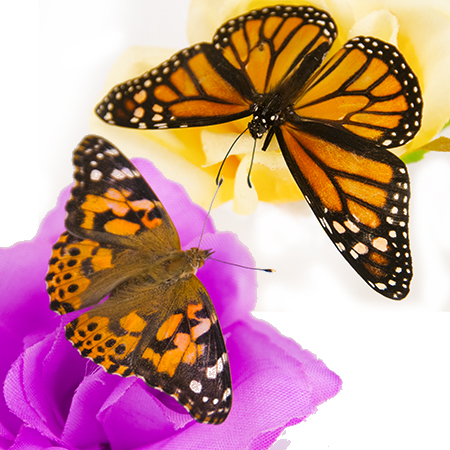 Your live butterflies will be shipped FedEx next day air to arrive the day before your event. (Please note there is no Sunday delivery options and we cannot ship to arrive on Monday) In most cities and towns Fed Ex arrives before 10:30AM. When you receive your order it is necessary to replace the ice pack and keep the live butterflies in a cool environment (not a refrigerator). A copy of the complete instructions will be shipped with your butterflies for release. What if I need to cancel my order? If the weather is predicted to not cooperate we ask for you to let us know as soon as you can. Cancellations of at least 3 days in advance of your shipping date will be refunded in full. We just want an opportunity to sell the butterflies you can't use to someone who can. Your order can also be postponed if need. What do I do when the butterflies arrive? Open the box and you will find your instructions, the Indian poem, and your receipt. Simply take the top Styrofoam lid off and you will find your live butterflies in either your decorator box, or in a floral box that will have your triangular envelope with the butterflies in them. Leave the butterflies in the Styrofoam shipping box and replace the ice pack that we comes with your order. Replace our ice pack with a frozen one (you must have a frozen ice pack prior to delivery) and that will keep the butterflies dormant until you are ready to release them. When putting the Styrofoam lid back on the box, leave it cracked open for some ventilation. Leave the box in a room temperature room. Do not put your butterflies in a refrigerator. 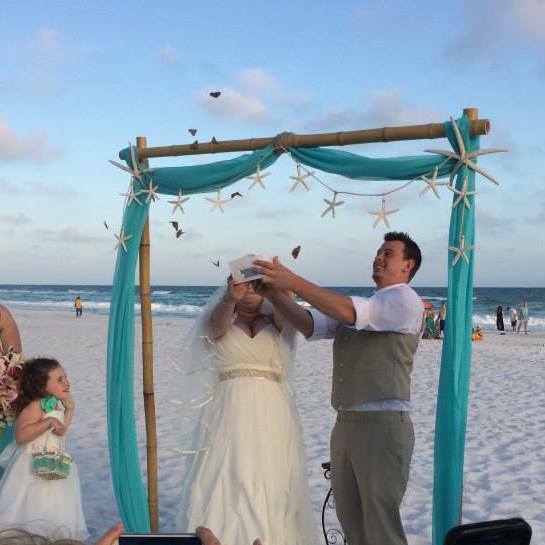 We loved our butterfly release for our wedding day! It was such a beautiful moment! This was the most amazing service i have ever purchased. I was scared it wouldn't work out as planned but it was amazing! Thank you so much!! This was our second celebration that we ordered butterflies for and again it was magical! We will be back again next year, thank you!! I had my doubts about even trying this, at all. I searched numerous companies online and decided to take a chance with Butterfly Release Company even though they're in Florida and I'm in California. I can excitedly say that the entire experience was absolutely perfect! Everything from the shipping, the care of the butterflies and the release was just as they said. It was a marvelous addition to a loved one's homegoing service. Thank you!!! They were stunning, and flew beautifully. Hi Chad, Wanted to let you know that we successfully released butterflies this afternoon with other staff members at IMS. They were stunning, and flew beautifully. Thank you for all of your work!